The Paper Cup Alliance (PCA) wants consumers to know that despite the misconception surrounding paper cup recycling, that this item is ‘entirely recyclable’. PCA has been working in partnerships with big coffee names including Starbucks, Costa and Pret A Manger to develop new initiatives to decrease the quantity of coffee cups being littered. With many of these retailers introducing a discount for customers who bring in their own reusable cup, PCA spokesperson Mike Turner said that this is not a new development but proves effective. He added that although consumers impulsively take-away from these retailers, that they are unaware that it is the “most sustainable material”. Discussing the Government’s decision to not impose a 25p latte levy on coffee cups, Mike Turner said that it was the right decision to make due to the damage it would have on the high street and said that independent research shows that if a tax was implemented, coffee sales would decline by 10%. 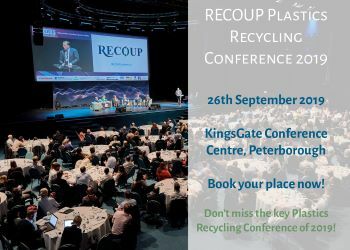 PCA is emphasising the message of paper cup recycling and has teamed up with the Alliance of Beverage Cartons and the Environment (ACE) to build a better infrastructure to support this, including setting up 4,000 paper cup recycling bins across the UK. DS Smith has recently said that it has found the solution to recycling the 2.5 billion coffee cups in the UK but needs more industries to work together to improve and develop a better collection system. He added that for more consumers to be aware of paper cup recycling, that PCA will continue to work with industries to spread this message, and make people aware that ACE can collect, recover the fibre and reuse it.